In my own defense, not every rejected idea is actually bad. In some cases, there’s simply not enough information available to actually answer the question. Of course, I do occasionally move forward with articles based on speculation alone, but that’s usually when I feel that I have additional insight to add to the conversation. Another common reason for a topic getting rejected mid-way through is that my premise was simply wrong. It’s kind of hard to make a compelling argument about something when you find out that the basic question you’re trying to answer isn’t even right. So with all that out of the way, let’s take a look at a few of the topics that never quite made it past the drafting phase here at Tuxedo Unmasked! Why Do Shingo and ChibiUsa Go to Different Schools? This was one of what I call a “rainy day” topic — something that’s kind of interesting and makes fans of Sailor Moon think a little more about the series canon, but ultimately isn’t all that that important. So I do some basic drafting, forget about it, then pick up the topic later when I don’t have time to write something more substantial. I first heard about the weird discrepancy in an old Sailor Moon fan book and thought it sounded interesting, so during a particularly busy week at work, I decided to get down to the bottom of this. 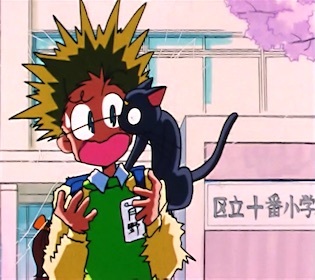 After scouring the internet for clues and pulling screenshots of both Shingo and ChibiUsa standing in front of their respective schools, I came to the realization that… they actually do go to the same school, 区立十番小学校 (ku-ritsu juuban shougakkou; (Minato?) Ward Juuban Elementary School). The fan book was simply wrong. See that window? Yeah, that totally doesn’t exist on the outside. 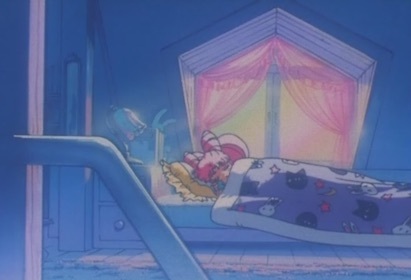 Why Does ChibiUsa Live in the Attic in SuperS? This is a topic I would love to talk about. It just seems so strange to me that, despite the fact that the massive Tsukino house clearly has a spare guest bedroom on the second floor, ChibiUsa is sent off to the attic for this season, like a reverse Harry Potter. I occasionally try out different theories and look online for any information to back it up, but I always come up blank. Odds are, this is simply nothing more than a plot convenience to get ChibiUsa out of Usagi’s room and to also get her into a slightly more secluded space, opening up more possibilities with Pegasus. It’s a shame, too, because I feel like ChibiUsa developed a lot as a character in this season and would love to talk about how she was handled in the anime, but there’s really nothing to work with on this attic angle. But it just seems like that must be some sort of inspiration/deeper meaning, right?? Did Usagi and Mamoru… y’know? In the manga, absolutely. In the anime, probably not until years later, when ChibiUsa was conceived. My reasoning behind this has nothing to do with the age difference/any legality issues between the anime and manga, either. It’s simply that the nature of Usagi and Mamoru’s relationship was far more chaste in the anime than in the manga. Part of that was obviously due to the fact that the anime was aimed at a much younger audience, but the manga also has a few scenes that hint pretty strongly at intimacy between them. As for why I don’t touch write about this topic despite obviously having a strong opinion on the issue? Topics like this need to be handled delicately, lest they come off as creepy. While I don’t avoid every scandalous topic out there, and even jump to answer some, I’ve always been hesitant to actually write an article about the intimacy between Usagi and Mamoru. If there’s enough interest, though, I’d be open to going in depth and making this into an article some day! Always on the lookout for new topics! Though this is just a small selection of topics that I’ve nixed in recent history, I thought it might be interesting to get an idea for what kind of things I consider throughout the research process. There’s a private page in the admin panel of this blog with a list of topics that I’m always adding to, and I use this list to keep track of things I may want to research and turn into a full-blown article at a later date. Some ultimately do end up like I originally imagined, even more get cut during the research phase (too boring, bad premise, etc. ), and others actually turn into a different topic entirely thanks to new information I found during the writing phase. 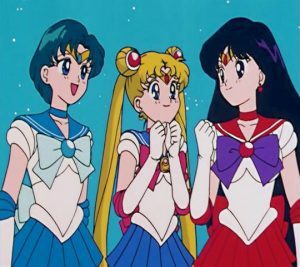 That said, I’m always open to recommendations, so if there are any Sailor Moon mysteries you’re dying to have answered, please send them my way! You can find me on Twitter, Facebook, down in the comments, or contact me directly. 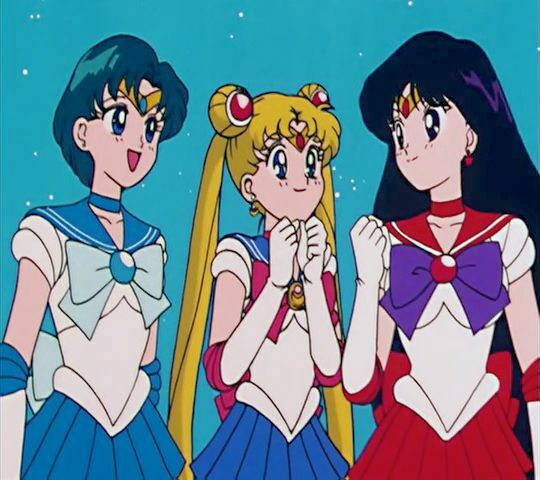 ← Was Sailor Moon the First Magical Girl to Transform With a Compact? 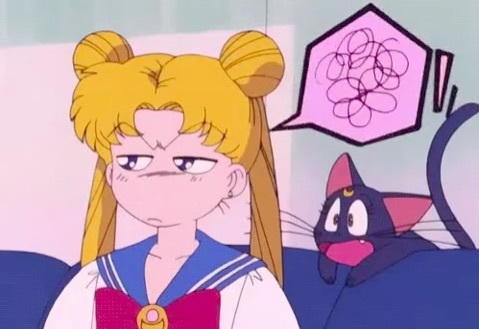 I think perhaps Mamoru and Usagi’s relationship was more of a problem due to her age and her being the main character? Or it may be just Ikuhara and his students ;). I think it’s because ambiguity just fits Haruka and Michiru as characters. They suppose to be mysterious, elegant, cool duo, older and more mature than inners and their goals are unknown. Those flirty texts just fits the characters (they can be trolling inners knowing they are listening as well). While Usagi and Mamoru are supposed to be more innocent first relationship thing, more romantic that sexual. 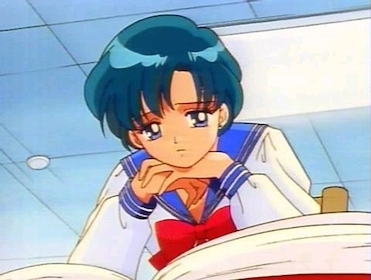 It also fits characters well, with Usagi and her naivety and Mamoru being introverted and reserved. They need more time. I want to know why there are always two actress to play Chibiusa and/or Chibi Chibi in the musicals? Seems to be related to either child labor laws, or that they’re worried it’s too exhausting for one kid to do all of the performances, so they always split the roles!